These are the some of the most perfect, easy, delicious paleo snacks out there. 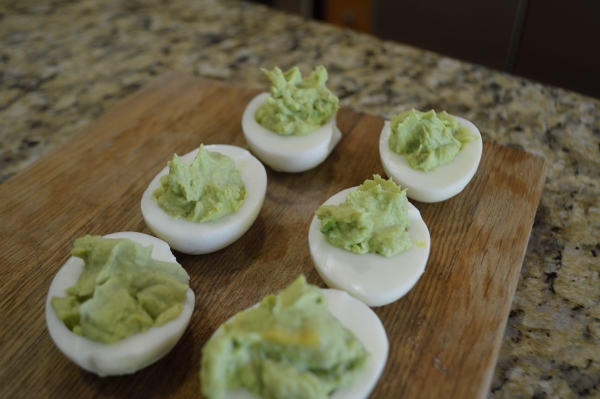 Have them for breakfast or lunch, pop them in a tupperwear container, and take them for a picnic or a pot luck. Kids love them, adults love them! What’s not to like. They are so easy to make! Here’s how! In a pan of water, add the eggs and bring to the boil. Allow to boil for 2 minutes then set aside for 3 minutes. Fry the bacon until crispy and chop. 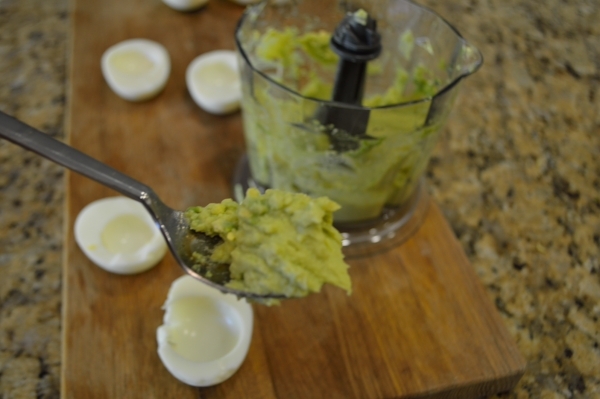 Now peel the eggs using a spoon; scoop out the yolks and add to a food processor. 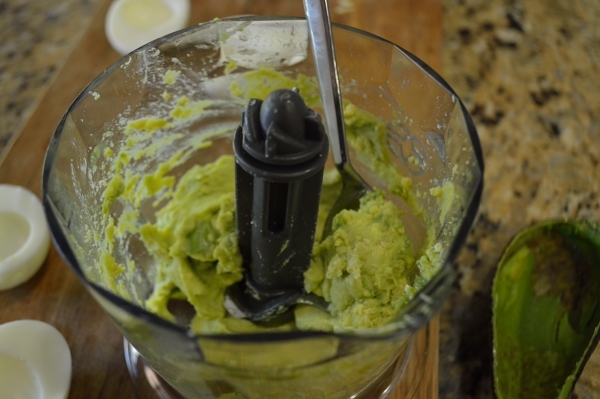 Add the avocado to the food processor. Add a splash of olive oil, the cayenne pepper and the juice of the lemon. 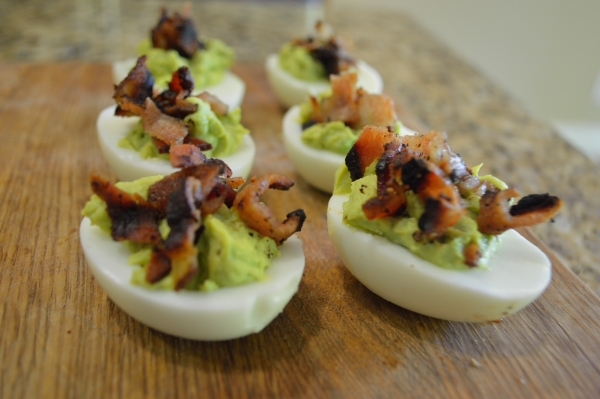 Spoon the avocado mix into the eggs, now top with bacon! How easy was that!! Easy! Here’s how in pictures!